I've enjoyed Japanese food for decades. I adore Kurosawa and Miyazaki and consider Ringu to be one of my all-time favorite horror movies. That said, I know nothing about Japan. To me, it's a distant, wondrous place filled with smart, hard-working people who like eating raw fish, smoking, and frequenting public baths. Reading Go by Kazuki Kaneshiro was a revelation to me, cutting through the myth of an orderly society to reveal deep-seated racism not unlike what we find in this country. Specifically, it's bigotry against people who are Zainichi, people of Korean descent who are living in Japan but treated differently than other Japanese citizens. As told through the eyes of a boy named Sugihara, this world is brutal and unforgiving. Every day is a fight for survival. And then, he meets the girl-Sakurai. Some academic is probably going to roast me for saying this, but here goes. For me, Sugihara is Holden Caufield-only much more interesting. He's violent and tortured, but only because he's been bullied all his life. When he meets Sakurai, he discovers in himself a capacity for love. And she learns that creating a tolerant society can begin with one person. Go is a beautiful coming-of-age story that readers of great literary fiction shouldn't miss. 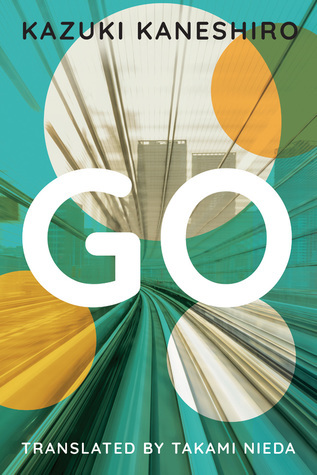 Sign into Goodreads to see if any of your friends have read Go.